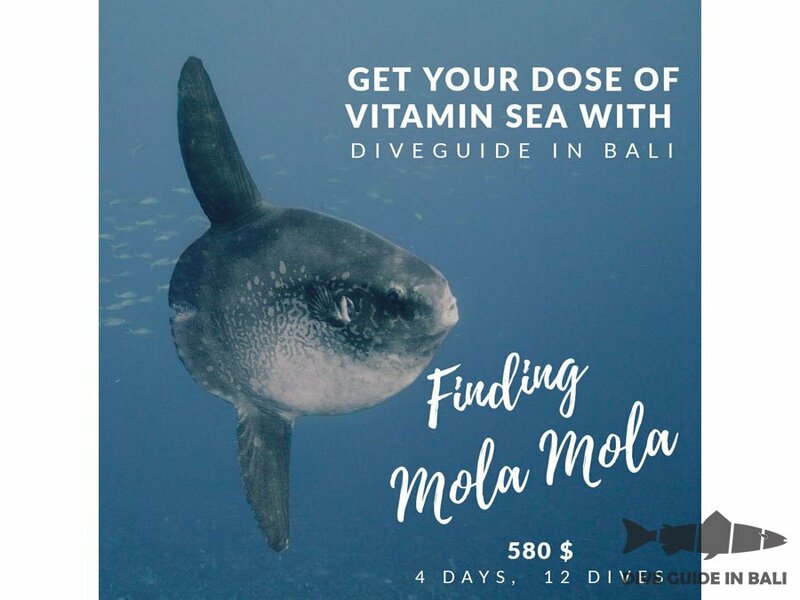 Diving with Mola Mola (sunfish) is the ultimate “must do” for many divers. We offer the best route around the habitat area of this most unique looking marine creature, including visits to the best dive sites in Bali and Nusa Penida. During your vacation we'll help you to choose the best days for diving. This is a limited time offer and it is valid from 25 August till 25 October 2018. 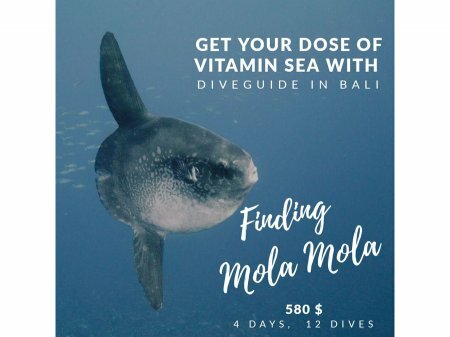 – The diving package can be used within 14 days. – The package offer cannot be used in conjunction with any other discounts and special offers. The price of the diving package is 8 500 000 IDR (580 USD*)/diver. * The price in US dollars can vary depending on the exchange rate on the day of payment. Please note that payment should be made in Indonesian rupiahs only. The offer is valid for groups of divers (2 divers minimum).